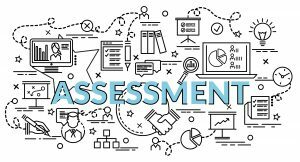 What issues should you consider to make sure your investment in assessment delivers for students, teachers and your schools? Assessment is now a routine and essential element of school life. Using classroom activities, homework assignments, periodic testing, or once-a-year summative assessments; teachers constantly monitor and appraise the students in their charge to help them realise their potential. I am always impressed when I speak with the teacher responsible for assessment in school at their depth of knowledge and the keen interest in using tests and assessments to establish a baseline for each student and to check their progress. Assessments are chosen carefully and used systematically, and the outcomes can support teachers’ own judgements and influence teaching and learning. I find that schools are ready to change what they are doing if an assessment isn’t delivering and will review and reduce the amount of assessment to lessen the burden on both teachers and students. Thankfully, the days are gone when the same test was wheeled out at the same time every year just because that’s what had always been done. When speaking with teachers I now find increasingly that they take a holistic approach and the focus is very much on the individual child. It’s not just their academic attainment that is the focus, wellbeing too is very much part of the discussion. Accountability is a driver but not the only one. Teachers want to do the best for every student, and one way of ensuring that nothing is missed is to use assessment carefully and sensitively, incorporating it in daily, weekly, termly and yearly discussions in which assessment data can play a part. Recently, the expansion of Multi Academy Trusts has taken assessment to a different level. When schools come together it is often with different approaches to assessment – some will be doing very little, others may have a well-developed system which favours one or other approach (and provider), and some keep things fluid and are prepared to mix and match and try what’s new. MATs are all about school improvement and raising standards, so it is natural that their leaders will rely on assessment to help realise their vision. The challenge is getting everyone on the same page! I know, anecdotally, that this can be hard. Member schools with great results and a well-established assessment regime will not want to change but sometimes such regimes just don’t transfer across many schools, some of which may not be performing well. However, assessment is one area of MAT life where schools can truly become interdependent in a positive way; every year that a school is left to set its own assessment agenda is a year that is lost to the gaining and sharing of meaningful insights into children’s learning. Use the same assessments for key subjects and fix the same assessment points across the year so that like-for-like comparisons will have real meaning. Data from tests and assessments are costly to generate and should bring real value to the MAT, school, teacher, and each student. Reach a consensus (even if someone must back down) and involve teaching staff to ensure that they are happy that the outcomes of any and all assessments will reach the classroom, and that those outcomes will be appropriate to support their students. Once the MAT has the data it requires schools can them decide on what else needs to be done to suit very precisely the children in their care. Time spent in assessment is valuable but does need to be kept proportionate. So, spend a minimum time assessing, and use high quality tests that focus on what’s key and come with clear, concise reports containing data that can be turned into actions. A strong assessment programme will leave more time to teach, learn, support and, ultimately, succeed!